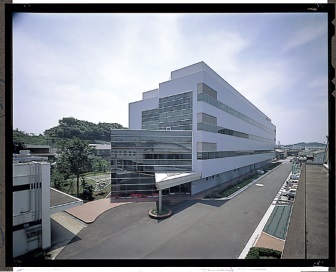 POLA CHEMICAL INDUSTRIES, INC. (Headquarters: Yokohama City, Kanagawa Prefecture, Japan; President: Kazuya Kugimaru) of the POLA ORBIS Group will join the Massachusetts Institute of Technology (MIT) Media Lab*1as a Consortium*2Lab Member (CLM) as part of a new mid-term management plan that looks toward the group’s approaching 100th anniversary in 2029. Becoming a CLM will spark creativity and encourage the integration of cutting-edge research and technology. This research collaboration reflects our effort toward "achieving the ultimate*3 in value", a key corporate objective. This fiscal year, the POLA ORBIS Group adopted a new group philosophy: "Sensitize the World to Beauty", and is making progress achieving a new long-term vision for growth that looks toward 2029. In the near future, the POLA ORBIS Group will pursue collaborations with various external organizations specializing in cutting-edge technologies in different fields to advance and promote open innovation. *1: The MIT Media Lab (Director: Joichi Ito) is an academic research laboratorywithin the Massachusetts Institute of Technology, Cambridge, MA, USA. Many of the lab's studies are interdisciplinary and include practical endeavors that extend beyond conventional research frameworks, with diverse themes such as affect-sensing technology, augmentedreality, optogenetics, and novel interfaces. The lab is also characterized by a significant number of projects that integrate art and design into their research. *2: A group or organization of multiple individuals, corporations, or bodies formed for a specific purpose. *3: "Ultimate" in this phrase refers to an ethereal splendor that cannot be described in words.